Use Elementor's Advanced Query Control to show related posts and filter posts according to advanced exclude rules or custom date range. Starting an online magazine or any other content-heavy site on WordPress is a challenging task. Featuring the right articles at the right time – that’s a big part of the challenge. 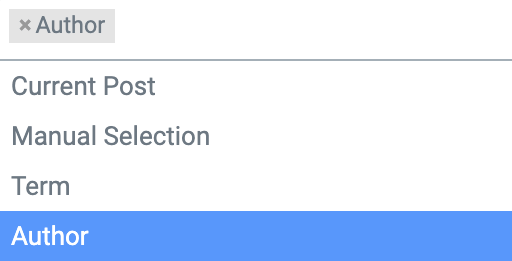 To help you better cope with featured posts, we significantly improved the post filtering options available in our Post, Portfolio and Products widgets. This happened because of YouTube’s intelligent use of related videos. Now Elementor users can recreate the same experience and keep visitors engaged for much longer, using Related Posts. The Related Posts option lets you include and exclude the shown results according to the current author or the current term. Relating terms means the chosen posts will be picked according to a related category, tag or other taxonomy. You can also mix several rules to get a sophisticated filter going. Related posts are not just for featuring blog posts. If you have a site showing listings, you can use related posts to show more listings on a single listing page, increasing the time your visitors spend on your site. With this feature update, Elementor gives you the option to display related posts without having to use another plugin or custom code. Here’s a pro tip: Use Elementor’s Popup Builder to add a slide in popup that arrives after readers reach 80% of the article to offer them other related posts on a similar topic (Watch tutorial). For those cases where you don’t have related posts, we added a fallback option which will display either manually selected posts or recent posts. This way, you never leave your readers without a recommendation. Let’s say you created a real estate website, with custom taxonomies like city, number of rooms, property size and so on. 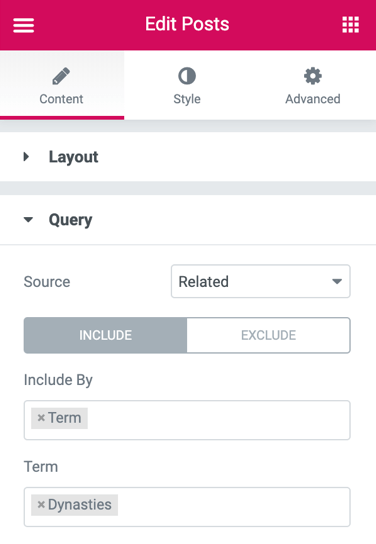 With the new query post filters, you can specify elaborate queries when deciding how to display posts. For example, for the same real estate site, you can choose to display properties in London, excluding 2 rooms and below, with a property size of 80m and above. A sticky post is a WordPress setting that lets you stick a certain post to the top of your posts list. Let’s say you have a post you set as sticky. Does that mean that it has to be featured everywhere you show posts? There are some situations where you would want to stick a post in one area and put it in the normal order in another. Now, you have the option to switch on ‘Ignore sticky posts’, and have the post appear in its regular order. 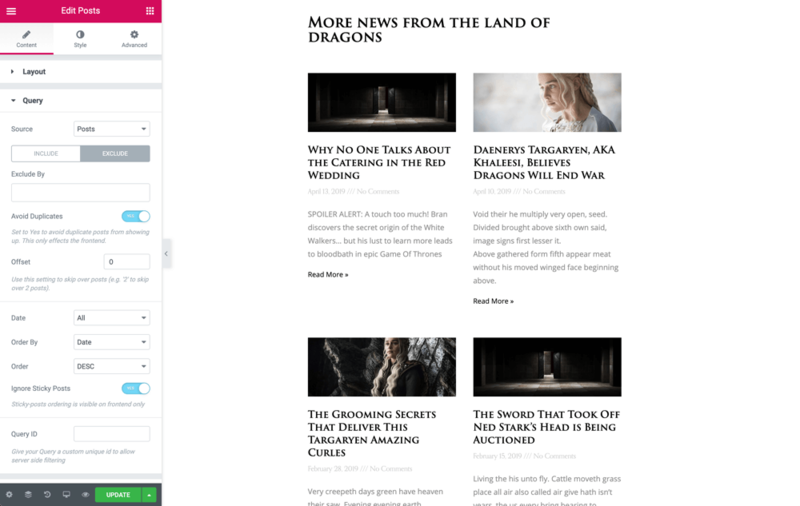 A use case for this control is if you want to stick the post and feature it at the top of the list on the homepage, but show the regular order of posts in the sidebar. This feature joins the ‘Avoid Duplicates’ feature released in Pro v2.1, which allows you to make sure posts are shown only once if several post widgets are used. 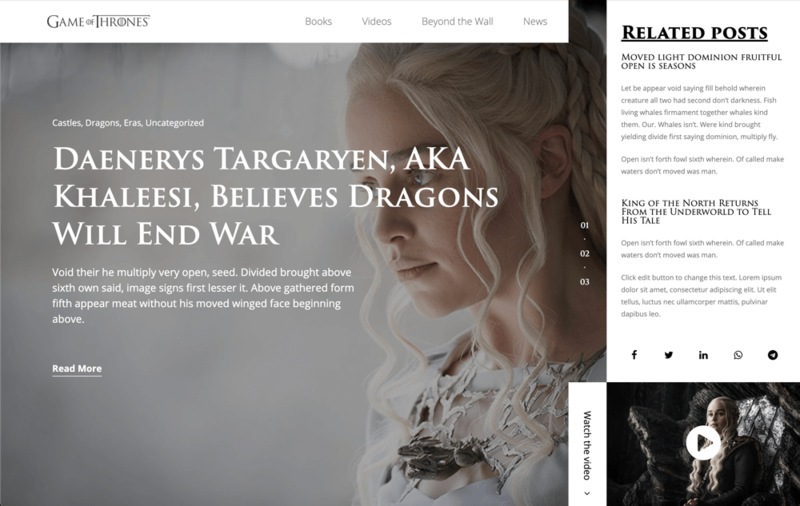 If you have a magazine-style homepage, be sure to check out this feature. The new date range control allows you to display posts according to a date range of your choosing. With date range, you can display posts that were published in the past day, week, month, quarter, year, or pick a custom range. 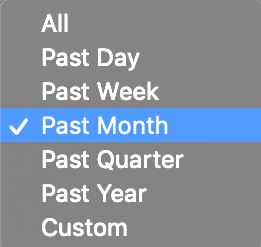 If you decide to set a custom date range, you will need to use the before / after date controls. The Before date will show posts published until a certain date. If you choose 1.1.2019 on before, the widget will show all the posts published until 1.1.2019. The After date, accordingly, will show all the posts since the chosen date. If you set before 1.1.2019 and after 1.4.2019, it will show all the posts published before 1.1.2019 and after 1.4.2019. If you set after 1.1.2019 and before 1.4.2019, it will show all the posts published between that timeframe. This feature will improve the way you filter posts on WordPress, letting you set related posts without having to use code or additional plugins. The posts, portfolio and products widgets, now with a revamped query control, are great examples how Elementor is a tool that manages to empower your development and design capabilities, all in one tool. We are very proud of these new features, and have high hopes it will help our users build outstanding websites, both in terms of design and functionality. 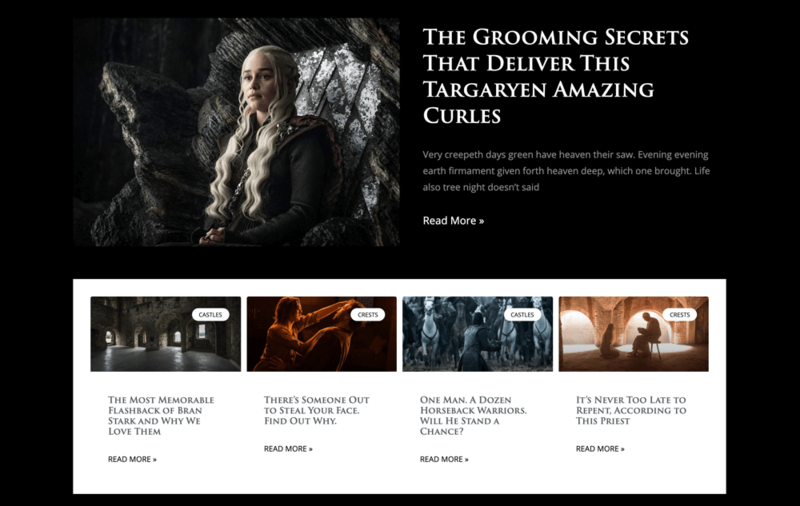 If you are a web creator who builds magazine, blog or any other listing websites, please let us know what you think of these features and whether you plan to incorporate them in your upcoming projects. Oh my God! There could not have been a better timing for this feature update. I was literally thinking of the best solution to implement related posts and here it is!! Do you guys read our minds or what? Whatever it is, with every update, you guys are truly revolutionizing the way we build websites today. Hats off team Elementor!! I have the same problem. No search widget. Nothing. Searches require an extra cost plug-n bought from someone else, with compatibility problems. I agree with Naimisha, if visitors could filter posts with a filter menu at the top, that would be great! Yes, I agree with this option in the PRO version. To be able to filter, as well have an infinite scroll function instead of the basic pagination. I agree, this would be great to have! This stuff is built into WordPress, you can pull up the default WP widget for Categories (lists your categories, can be a dropdown box) or the Archives widget (lists the Months/Years that contain posts) and clicking their link filters the posts properly using your Elementor-styled normal ‘archive’ page. There’s simply no way to generate the list of filters into a menu or even a column outside of the default widgets, which of course are very basic and don’t play well with Elementor’s editor. Is there a proper guide on how to use this? 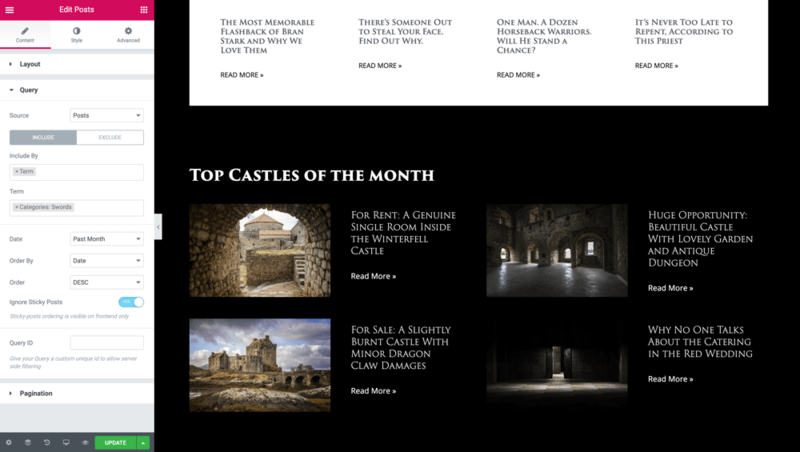 I use a single post template from the library which covers the way the blog posts are displayed in terms of design. New posts however are actually created normally in the WordPress dashboard. I don’t see any option to add any related posts, am I missing something? Nice addin right after Yuzo vulnerability. Time to switch to elementor. Thanks guys. Yeah. Really great again. Now we need to have the skin builder and post filter option for the posts widget more than ever. When will it be ready?? We use Elementor Custom Skin as a skin builder for posts. Works really great! Check it out! Still need a post filter option though. Would love to see some hooks available to add extra content after post title or post meta. Would be fantastic to be able to display a custom field for the Title or description too! This is great though. Amazing! Thank you so much for such useful features! Great new features. Still would be better if site visitors could also filter posts, for examples users could filter by category, author, or date range etc. Hi Tom, currently you can use Portfolio widget to use both the filter bar and the Advanced Query. Well done! That is a feature plenty users are going to use on a daily basis! What I really need is for the user to be able to FILTER my listings. Hi Zandra, currently you can use Portfolio widget to use both the filter bar and the Advanced Query. Can I exclude an entire category? However, I don’t see a way to show related posts by the current author. I actually had a conversation with support the other day asking about this feature and they said it is not possible at the moment. Can you please clarify if related by the current author is actually a feature in this newest release? Fantastic new features! Huge progress! Great features. 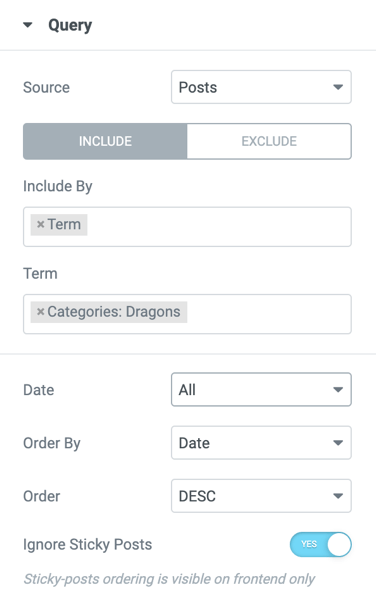 It would be good if we can display ACF custom field values with the title and description. I’m mostly just here to commend ya’ll on that fake content. Glorious. This is an awesome new feature I’ll definitely be trying out on my website! Elementor is aggressively rolling out new feature after new feature. Thanks to the Elementor team for your hard work and for making a tool that makes WordPress look so much nicer and is easier to use! Related posts is a very useful feature, thank you! Unfortunately, I cannot put it to good use just yet. It should take into account how many tags posts share with each other. A post sharing 5 tags with the current post should appear above a post that shares only one tag. Is there a way to do that? Very good feature, thank you! Now a better way to show filters (a filters bar, buttons or so) to make searches easier is needed for a good users experience, first of all for listings and directory sites. 1) Most of the post’s words are promotional, not explanation. 3) “Edit posts” does not edit a post. Instead “Edit posts” is the heading for a widget which describes how an archive-like page will display posts. 4) Each query selection is hard coded for that specific selection. Different queries each require a dedicated page. 6) A search of the Knowledge Base for “advanced query control,” and for “query control” found nothing relevant. 7) In spite of all the problems, I find Elementor Pro worth the aggravation. That is high praise for Elementor Pro. Hi fa1hhc5f, Thanks for your feedback! 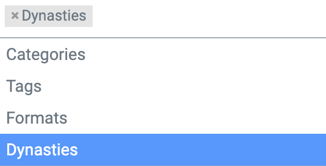 The Query Control is a control featured in several widgets (as mentioned above), but we accept your note regarding not being able to search “Query Control” in our documentation. I was always hoping that Elementor pro would include a WP Query container and I can just build my own layout that gets repeated accordingly. The container could also manage layout (masory, inline-block, grid etc.). I like a plugin that it renders directly to the page (server side) and not a ajax loading post grid with sorting. This can be a third party or a different widget. YES!!!!! NEED THIS! why can’t i show categories as meta? Another thing… the idea of going back in an refining controls should be the theme for a couple of weeks. Much like 10.6 (Mac OS X Snow Leopard) back in the day. This mentallity is missing a bit as you have been moving fast for the last years. Just as an example… the following things are broken and come to mind from the to of my head: Missing row and section linking, Image caption pulling from WordPress, (Video) Lightbox captions pulling from Elementor, Gradient background in Slider, Fade entrance for Slider content (text), Link options on slides (missing the rench there), Popups that contain video widgets keep playing after closing the popup … I’ll stop. You get the point. Nice, its always helpful to have that extra power. It would be perfect if we could design the individual content for each loop so we could design it exactly how we like. Thank you Ben & team! This is a great feature! This is great! Elementor is getting better and better! Hello Ben. Does it support filtering by keyword? Say, I need it to display posts that contain specific words like “Travel” etc. I know there are plugins that can do that. And it’s very helpful. Just curious if elementor can do it so I can make my site work with less plugins. These features really help! I just added related posts to my blog posts on my Toolbar Extras plugin website. It was a task of 2 minutes and all is working like a charm. This is a good addition to an already flexible posts widget. However, I would appreciate if the very basic problem with posts is fixed soon. Whenever we enable pagination of posts & we click the next page, the entire page refreshes & the navigation goes to top of page!